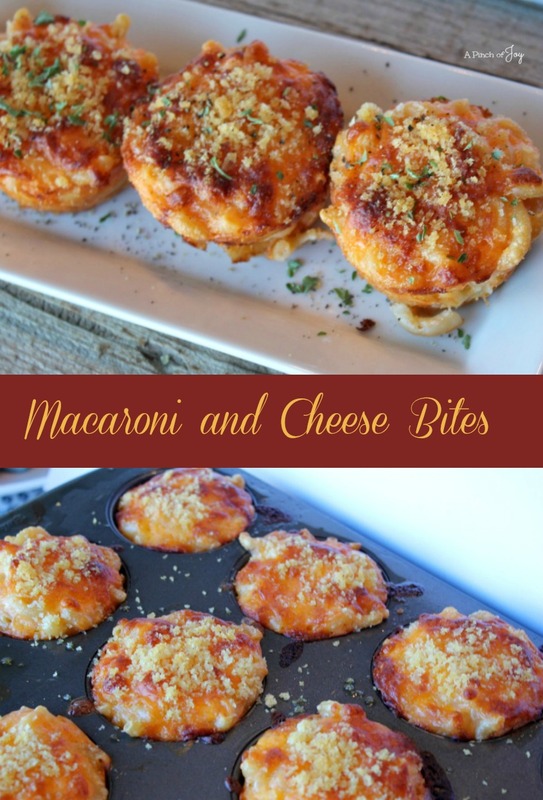 Macaroni and Cheese Bites are a hearty appetizer for any occasion. Bake them in tart pans for Bitty Bites. Bake them in a regular muffin tin for a big guy appertizer or a light meal. Serve them for a prom after-party, an informal wedding reception, a couples potluck, the Big Game Food Table. I’ve mentioned before that we like hearty appetizers for a light meal that is different and out of the ordinary for us. It takes 20 minutes to prepare the big macaroni muffins. If you do the prep as directed and multi task while the water is coming to a boil and the pasta is cooking, you’ll feel less hurried during assembly. I used a small ladle to fill each muffin cup to the top. The recipe makes exactly 12. Serve hot. Garnish with fresh ground pepper and chopped parsley. If you want to make the Bitty Bites, follow the directions as given, except baking time is 15 minutes. The yield is 36 mini muffins. Kids get a kick out “their” regular food in a slightly different but still recognizable form. It’s fun, but still a little familiar!! Isn’t that the perfect Party food?? You can leave off the pepper on top, and adjust the onion and garlic powder measurements down if your main eaters are little ones. Yes. You eat them with your fingers. Or with a fork. And, if there are leftovers — they are yummy, too! And, if you want, you can make them ahead of time — even freeze them. Warm a batch in the oven or individually in the microwave. Hearty appetizer than can be baked in regular muffin tin for Big appetites or in tart sized muffin pans for two bite appetizers. Serve for after prom or the Big Game -- they'll disappear quickly! Preheat oven to 350°. Spray muffin tin with cooking spray. Bring salted water to boil. Add macaroni. Return to boil and cook 5 minutes. Pasta should be firm. a. Beat egg in small bowl. Measure butter. b. Measure milk, stir in onion and garlic powder and set aside. d. Open packages of shredded cheese. Mix together and set aside ⅓ cup from each package. When macaroni is done, drain water. Pour pasta into large bowl. Add butter. Pour egg evenly over macaroni, stirring as you pour. Butter should melt and egg should coat pasta thoroughly. Add milk and cream cheese to mixture and stir gently. Add 1⅔ cups of each cheese and stir until combined. Fill prepared muffin cups, dividing macaroni and cheese evenly. Top with remaining cheese. Mix olive oil and panko together and sprinkle evenly on each macaroni muffin. Bake until cheesy macaroni feels firm when pushed gently with back of spoon, about 30 minutes. Cheese will be golden and starting to brown around the edges. Let cool in muffin for 10 minutes. Run a knife around the edge of each muffin to loosen before removing from the pan. Garnish with fresh ground pepper and chopped parsley before serving. Cream Cheese Toffee Dip and Happy Anniversary!